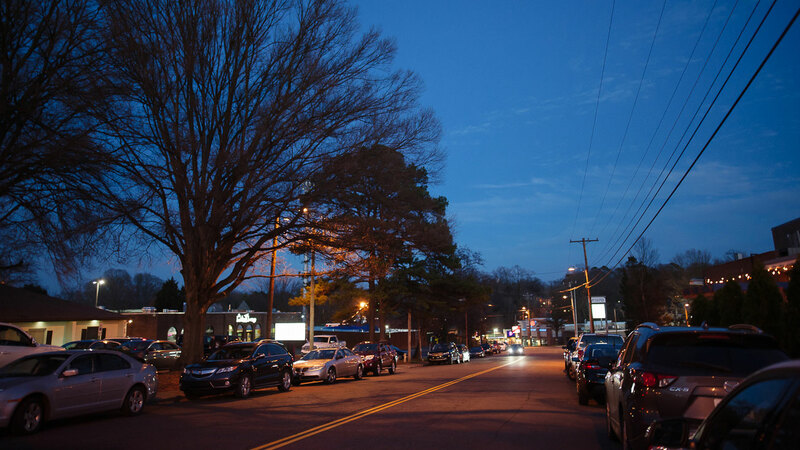 Montford could soon become more than an after-hours hangout. 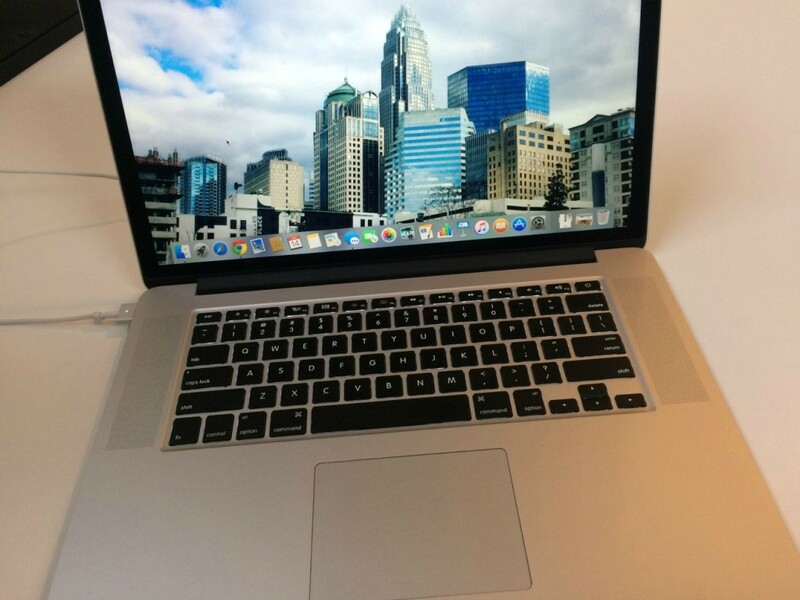 It could be the linchpin for the next big development boom in Charlotte. 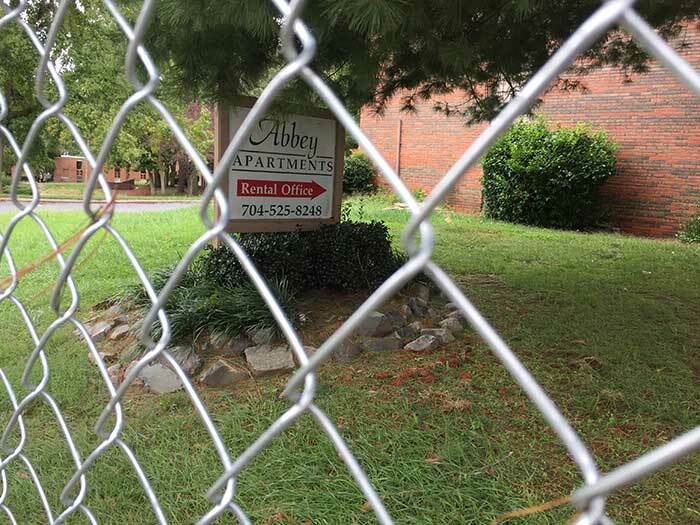 More than 1,300 apartments are planned or under construction between Montford Drive and Selwyn Avenue, less than a mile to the south. The stretch of road is currently marked by old office buildings, vast stretches of asphalt and rush hour traffic. But the vision is to turn it into a cohesive community bustling with high-end retail, families walking down sidewalks and young professionals lounging pool-side. If developers can do a few things — figure out how to make all the new developments look like they fit together, make the area more pedestrian friendly, and resist the urge to build nondescript apartment towers — this part of town could soon rival South End. “This could be the next hip neighborhood in Charlotte,” said Clay Grubb, CEO of Grubb Properties. None of this, obviously, would ever have been possible without Montford Drive. Today, it’s a thriving entertainment district, but that wasn’t the case even in the recent past. Sure, Montford has long been known for bars and restaurants, but the evolution into a true entertainment and nightlife district has been slower. Classics like the Moosehead Grill (1997), the bowling alley (1958) and The Roasting Company (1991) have been around for decades. 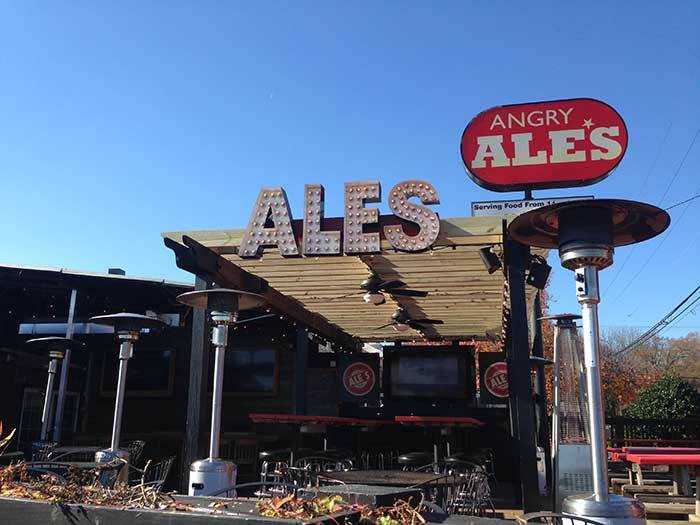 Angry Ale’s opened in 2001 and Jeff’s Bucket Shop in 2003. A critical mass wasn’t established until about 2009, when Good Food and Brazwells opened. Since then, the development has been fast-paced. Duckworth’s opened in 2010. Maverick Rock Taco opened in 2012. That same year the former George Pappas’ Park Lanes was renovated and re-opened as a hipper Ten Park Lanes. Business there has never been better. Restaurants up and down the street are posting record sales, and Uber drivers patrol it on weekend nights. In the wee hours, there’s a string of walkers heading to the 1420 Magnolia apartment community a third of a mile to the south. The ideal, business owners say, would be to become Charlotte’s version of the historic Beale Street in Memphis — home to iconic places like the Coyote Ugly saloon and The New Daisy Theatre. The type of place where the bars are packed even on a Monday. So is it any surprise that young professionals would like to live close by? That’s brought a steady stream of developers ready to turn 1960s era office buildings and wide surface lots into the kind of live-work-play mecca they all dream about. To boost business, they’re now talking about coming up with a name for this place besides “that stretch of Park Road between Woodlawn and Tyvola.” How could it truly be a neighborhood without a name? The renaming conversation has been driven by Grubb Properties, which bought two office buildings just south of Montford and moved its headquarters there. And since then they’ve done some informal research on what people think about the neighborhood. “The lack of identity is something that came up over and over,” said Rachel Russell, vice president of development at Grubb Properties. In an August survey, about 28 percent of respondents said they call it the “Montford” neighborhood or the Montford area. In a close second, about 25 percent called it the Park Road Shopping Center area, or simply Park Road Shopping Center. If you want to weigh in on the Park Road corridor, what it should be named or how it should be developed, Yellow Duck Marketing is coordinating a public meeting on the Pfeiffer University campus. Starts at 6:30 p.m. tonight (Wednesday, January 20). Get the details here. 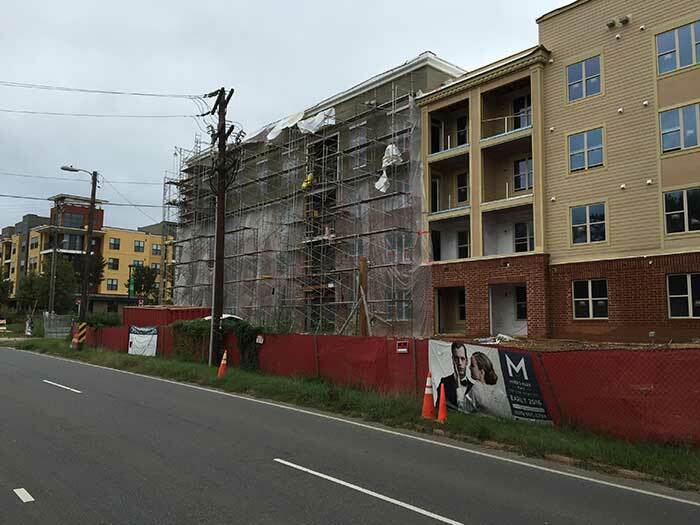 One advantage Montford has that South End doesn’t: The ability to “move up” and buy a home there. Madison Park, the 1,700 homes bordering Park Road on the west side, is an achievable option for a first-time homebuyer after several years of renting. The neighborhood is in something of a transition itself. 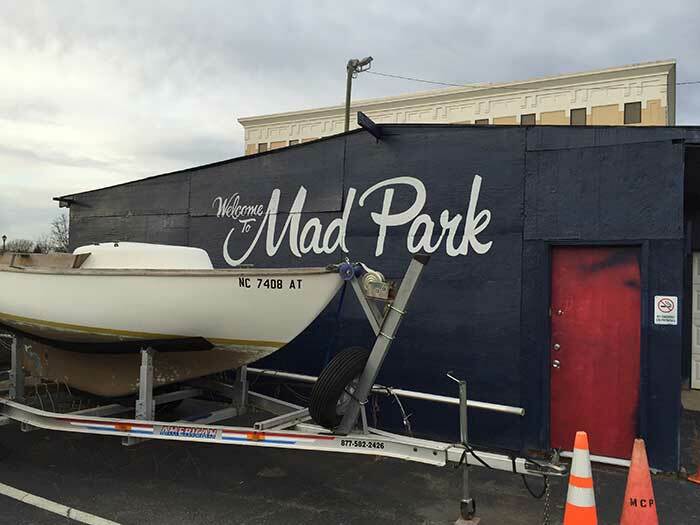 Madison Park was developed in the mid-1950s, and a lot of people in the neighborhood are still the original owners — likely in their 70s or 80s. But then you have a lot of young families moving in, attracted by the proximity to both Uptown and SouthPark and the reasonable home prices. The average age in Madison Park is 33. Neighborhood leaders are largely on board with all the new projects. Developers regularly attend Madison Park HOA meetings, and hope that bringing more people into the area will ultimately boost property values. For the first time, there will be a large concentration of young professionals in the area, Madison Park HOA president Douglas Welton said. The hope is that they will be future homeowners wanting to stay close by. More retail options close to home doesn’t hurt either. “In the long term, that’s going to be positive,” he said. Of course, turning this area into a true neighborhood is not without challenges. For one, Park Road itself. With the number of lanes and speed of traffic on this road, it will be difficult to turn it into an easy walk. Especially if we’re talking about young 20-somethings walking home after a night on Montford Drive. Bike lanes and wider sidewalks would help here. 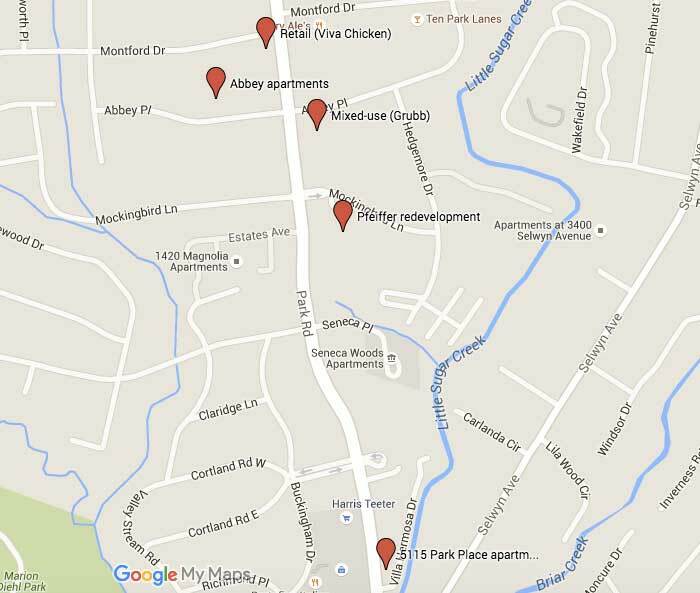 There’s also the issue of parking on Montford. Face it, not everyone is going to live in walking distance or be willing to shell out $20+ for an Uber. City leaders are envisioning a “park once” type area on Montford Drive that would allow people to flit between entertainment venues. But private property owners don’t really want to sacrifice their parking spaces for a public lot. 5115 Park Place apartments. These 300-odd homes are almost done, and a leasing office is up and running across the street by the Harris Teeter. It will have the now-standard saltwater pool, Crossfit and yoga, and a parking deck. The community replaced the Stratford Apartments, which were more affordable. This was actually once going to be called Myers Park Place, but I guess they’re more on board with creating an area here (or they realized nobody considers the area Myers Park). Mixed-use at Park and Abbey Place. This is currently two office buildings and is slated to become a massive mixed-use area with apartments, retail and maybe a hotel. Grubb Properties has its headquarters right here, and they pledge to do right by the neighborhood. The company is already fixing up the office buildings, and next thing to happen is likely going to be a Link Apartments community with 450 units. Eventually this will be a big retail center with an internal street network. Grubb is also promising larger sidewalks and a pocket park. Abbey Place apartment redevelopment. 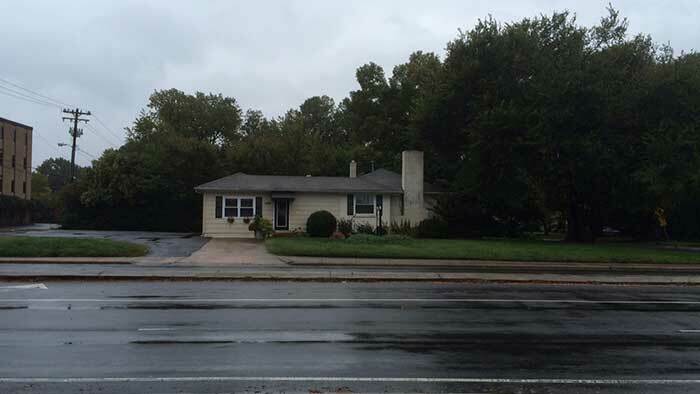 This is over on the other side of Park Road and is being developed by Spectrum Properties. Instead of 22 buildings (circa 1966) with 128 rental units, the new development will have three buildings and 265 units. New retail at Montford and Park. Lat Purser is developing a building on the west side of Park Road that will be home to Viva Chicken and another business. Pfeiffer campus redevelopment. You’ve seen the building. It’s going to be apartments (most likely) with a lot of ground floor retail. This is set to be up for a public hearing in February.